The 12 crimes of Christmas: Bart Sagan is a thief, yes, but more or less a good guy - at least, he wouldn’t rob an orphanage if he didn’t have to. Not at Christmastime, anyway. But then the local crime boss, Harry King, loses a shipment of drugs and orders Bart to burglarize the 12 addresses to which it’s been accidentally sent. Can Bart and his ragtag band of independent criminals keep their Christmas spirit while breaking and entering at the behest of a drug lord? Can they keep their lives if they don’t? 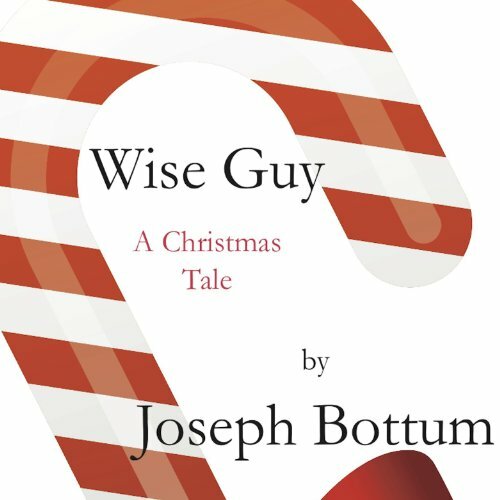 A comic crime caper for the holiday, “Wise Guy” retells the story of Balthasar, one of the three Wise Men who followed a star from the east for the first Christmas. Or as much of Balthasar, anyway, as a confused and slightly hangdog minor thief can manage. As much of a Wise Man as a Wise Guy can be. The author of three best-selling Kindle Singles, Joseph Bottum is a widely published essayist and poet - whose account of winter on the American prairie, “The Christmas Plains” (from Image/Random House), has been named an instant holiday classic. He is, as the essayist Andrew Ferguson has noted "one of America’s most gifted writers, with a perfect ear and a matchless style". He lives far off in the Black Hills of South Dakota. “Wise Guy” is his first foray into Christmas fiction. ©2012 Joseph Bottum (P)2014 Audible, Inc.
A good feel holiday story. A cup of christmas tea with a twist, romance, redemption, and intriguing. I will listen to it again.